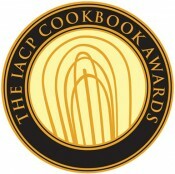 IACP 2015 Cookbook Awards - Cooking With C.C. As part of the 2015 Annual Conference in Washington DC, the winners of the prestigious IACP Cookbook Awards were announced on Sunday March 29th during the Awards Ceremony hosted by Custis Stone. If you are interested in any of these books, they are listed on the Cookbook Award Winner page in the Resource Center.